There are loads of vintage patterns out there on the internet, but few will be in your size! In fact the chances of getting a vintage pattern from an era like the 30’s that just happens to be in your size is pretty well zero! Don’t fret, it’s possible to make any pattern bigger or smaller by a mystical process called grading. Ok, this is a bit of an effort, but for a rare 40’s pattern it’s definately worth the effort. First step is to trace the original, and make all your adjustments on the copy, that way you can go back to the original if you make any mistakes There’s a bit of maths and cutting and slashing involved in this process,and I found a fabulous tutorial on this topic over on A stitching odyssey written by the fabulous and talented Alana from Lazy stitching.com, who has kindly agreed to share her excellent tutorial here! Alana is referring about grading a specific pattern as an example, but this process works for any pattern. Thanks Alana! Over to you….. So here goes – rulers and pencils at the ready! Once you’ve traced off your pattern, the next step is to determine the size of your grade or how much you need to increase your pattern by. 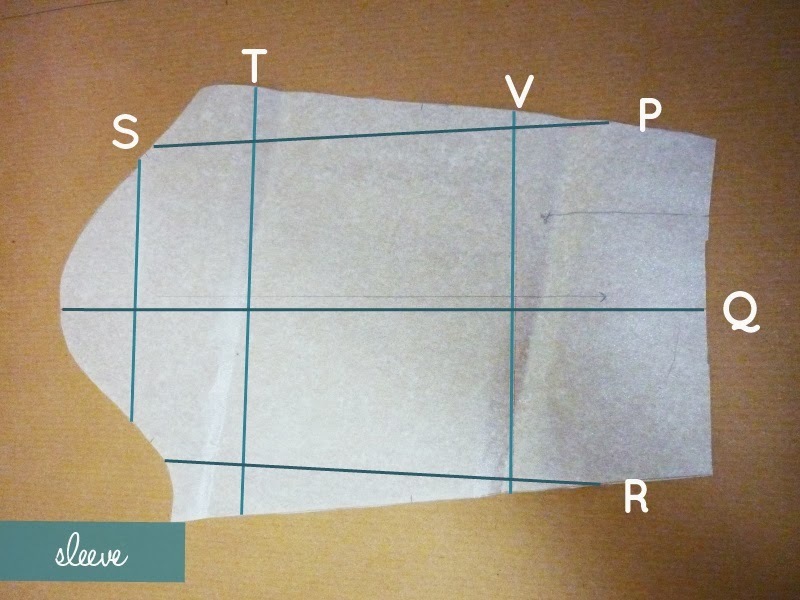 Take your bust, waist and hip measurements then compare to the vintage pattern size guide. NB- Often vintage patterns are single sized only! This tutorial is in cm, but you can work just as well in inches! This is the worksheet I used with an example filled in at the top. 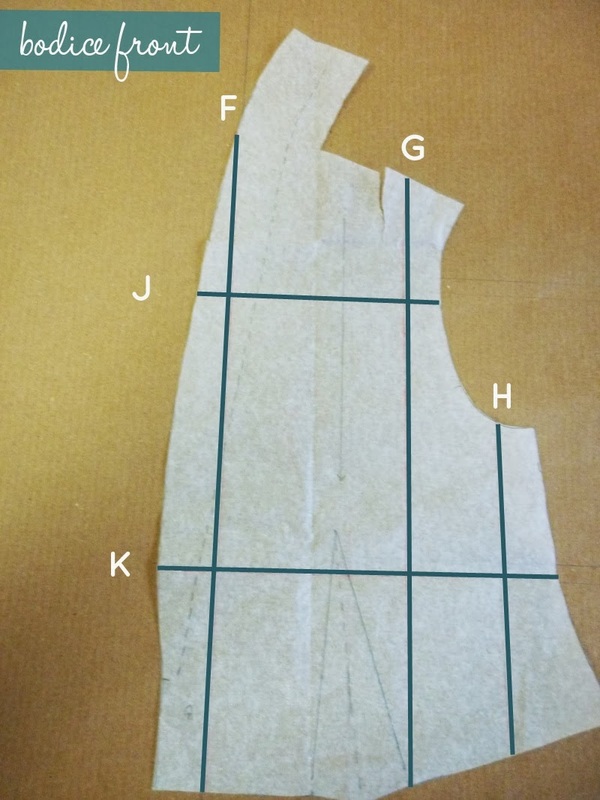 Once you have the amount you need to add in this example it’s 4 cm, a quarter(1cm) is added across the front piece and quarter(1cm) to the back (FG + BG). Because our bodies don’t get larger just at the side seams this amount is spread again at certain points. Follow the worksheet to get measurements for A,B,C & F,G,H. The line in grey font shows the calculation, keep these numbers handy. 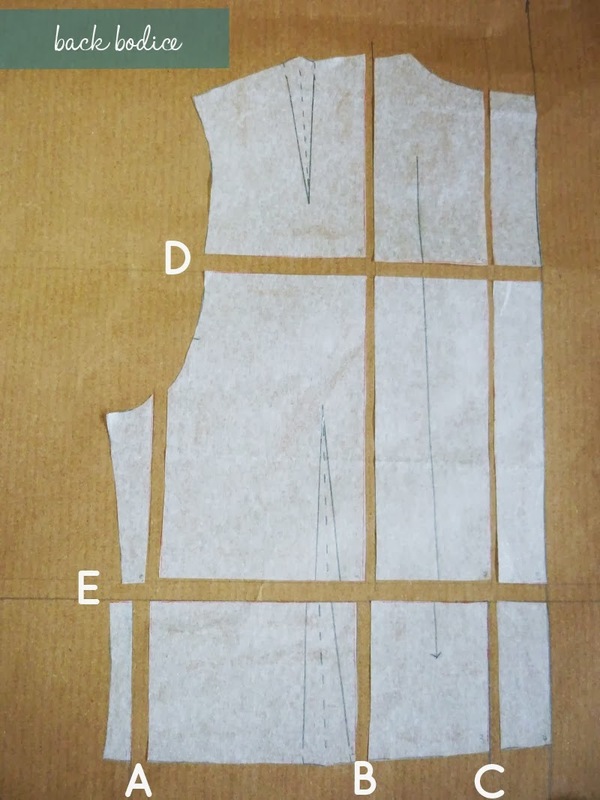 Let’s start with the simpler of the two bodice pieces – the back. Draw in the lines below keeping parallel. A: Close to the side seam but to the right of the seam line. B: Running through the shoulder seam but avoiding the bottom dart. C: Running through the horizontal neckline curve. 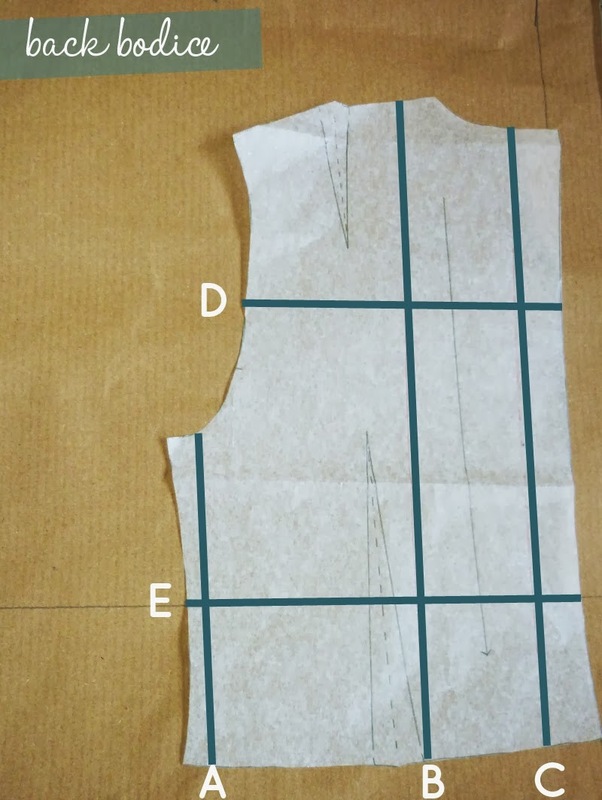 If you need to add length to your bodice (not always necessary) draw lines D & E.
D: Through the armscye above the bust at 90 degrees to the grainline. 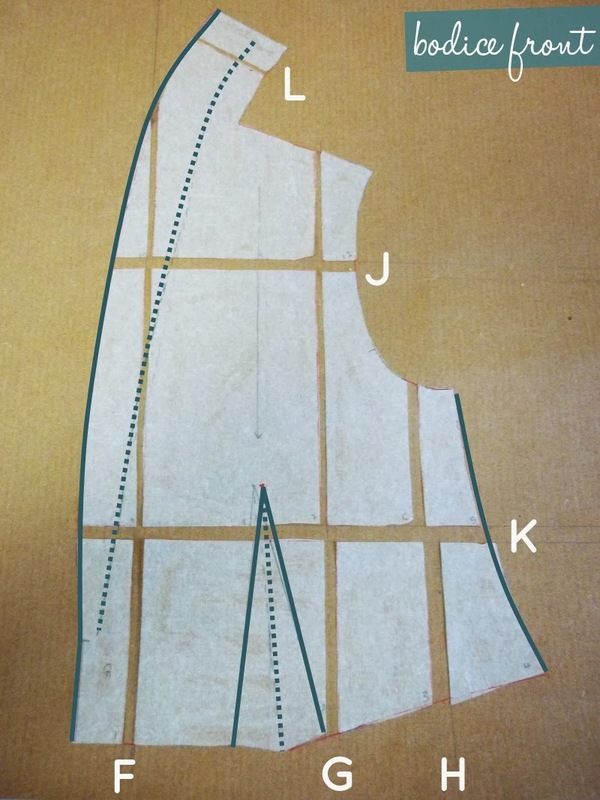 E: Through the side seam below bust at 90 degrees to the grainline. Cut through these lines and spread by the amounts on your work sheet. D,E: Spread each of these by 1/2 the total length you want to add. Now you can either fill the gaps with tissue or glue to a new sheet underneath. In my example I need to add more to the waist than I do at the bust so I cut along line E and spread the bottom pieces further than the top then smoothed the line and moved the dart over slightly. NB: You will need to pin the dart in your muslin to adjust it properly and see where it looks best. I did the same with the skirt pieces where the hip was increased more than the waist. When you slash and spread curves or diagonal lines like necklines, armholes and shoulder seams you will need to tidy the edges. You can eyeball it but a French curve can be helpful if you have one. 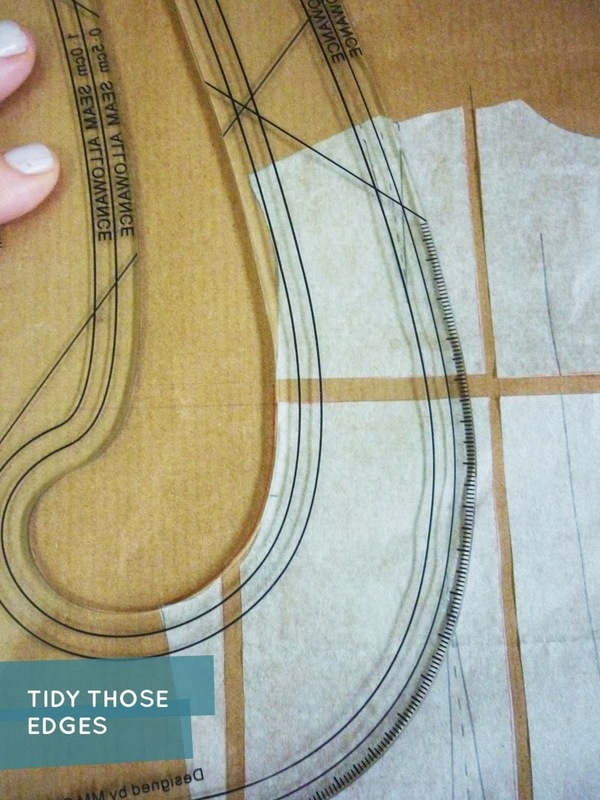 Now repeat with the front bodice – it looks harder, but you just use the same process with one exception. F: Close to centre front crossing through the collar. G: Crossing the shoulder seam to the right of the bust dart. H: Close to the side seam, crossing the armscye. 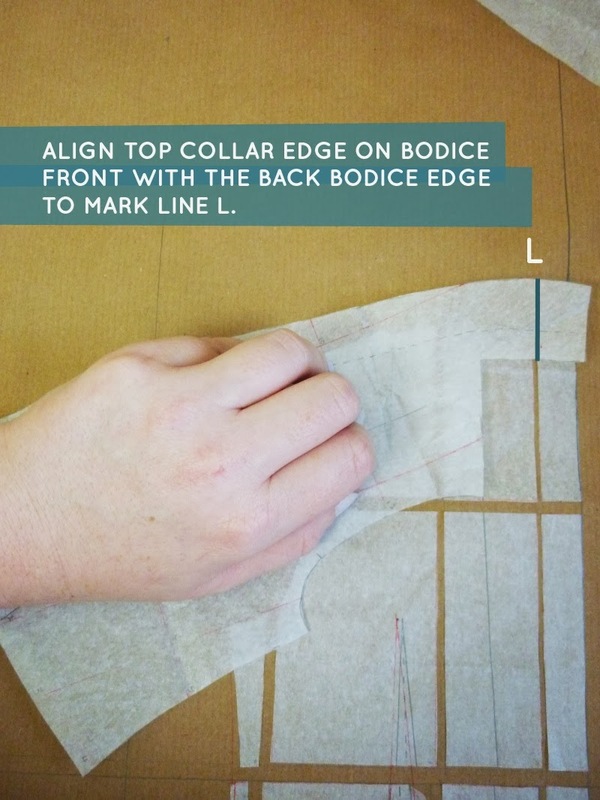 Add lines J & K if you need to add length to the bodice – half the length at each line. Now Dakota has a classic shawl collar which means the back and front collars are all one piece extending from the bodice front. Because of this we need to extend the back collar by the same amount we added to the back neckline. 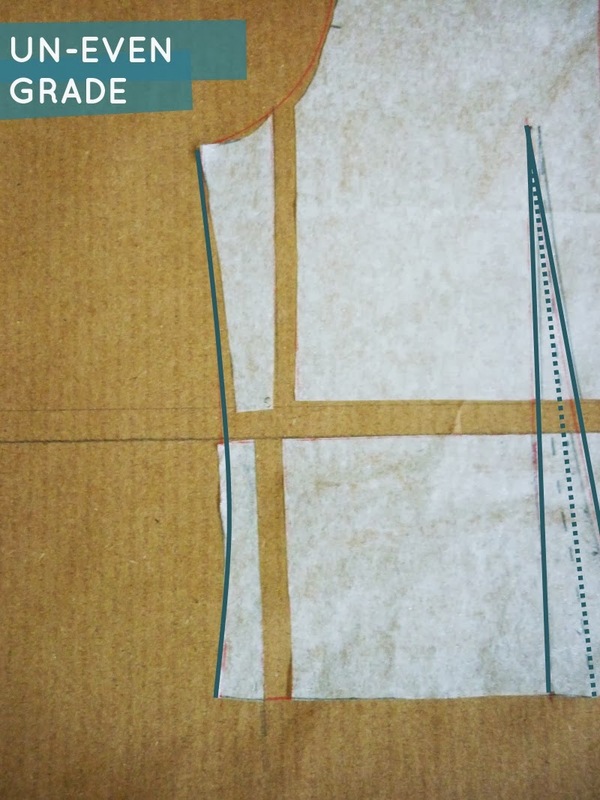 Slash through the lines, spread the pieces (Line L is spread the same as Line C on back bodice). True all the edges paying close attention to the curve of the collar. You will also need to mark the new collar roll line (dotted line). 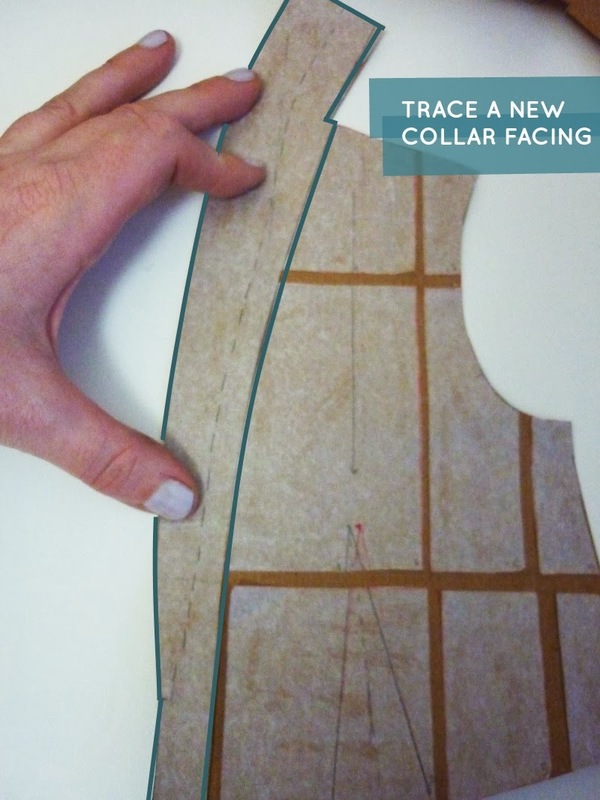 Don’t forget to trace a new collar facing piece too! To keep things simple I like to increase the sleeve cap by the same amount I added to the armscye. To do this mark the sleeve piece as follows. Line S is spread the same quantity as D and J (which should be equal too!) If you didn’t add length to your bodice you won’t need this line. Line P is spread by the amount added to Line A. Line R is spread by the amount added to Line H.
Here’s where I got a bit lazy, sorry! Rather than spreading the rest of the sleeve at lines P & R I just spread it down the middle and smoothed the edges – it didn’t seem to matter in the end. The cuff can be spread from the middle by the same amount. 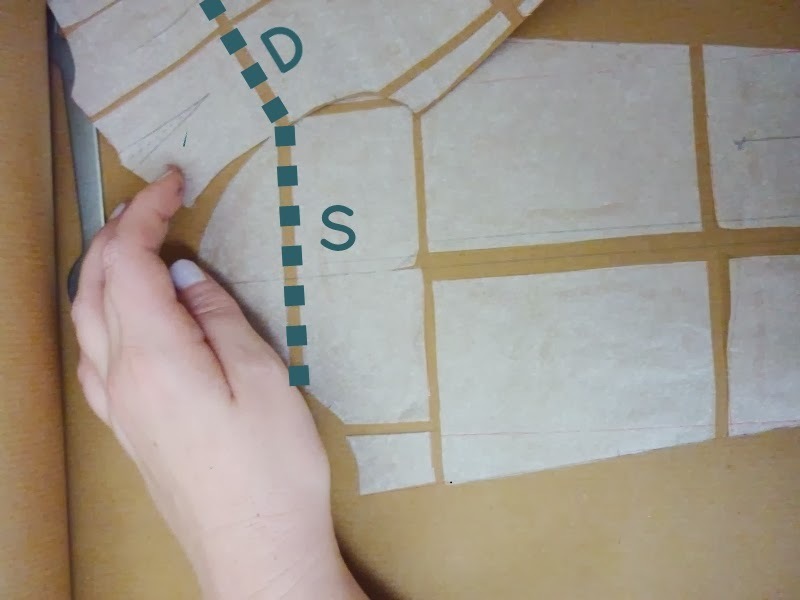 One tip that really saves time – measure your armscye at the seam line and the same at the sleeve head seam line and check they match before you cut your fabric. They should – but sometime even the best mathematics seems to go awry. 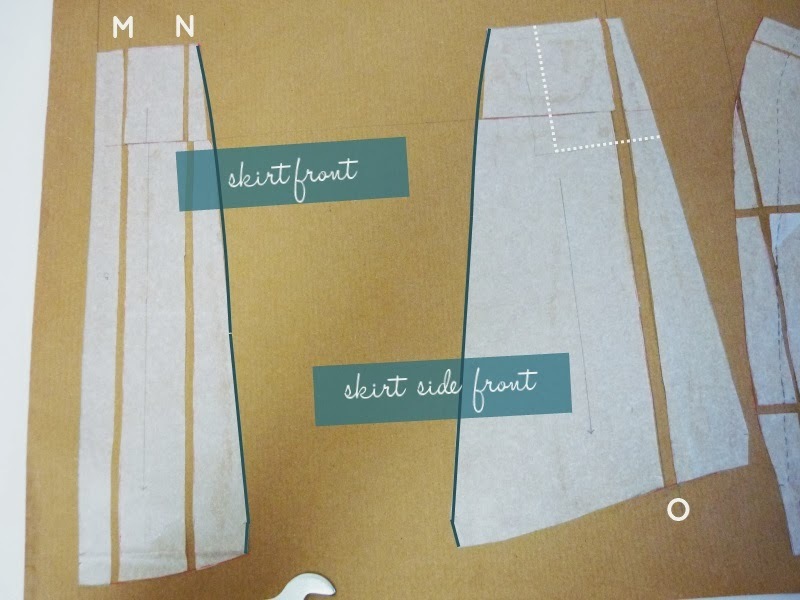 M & N: On either side of the skirt front and skirt back, parallel to the grainline. O: On skirt side front and side back close to the side seam, parallel to the grainline. To lengthen or if your hips have a different grade to your waist draw in the hip line (like in this example). M is spread like C at the waist. N is spread like B.
O is spread like A. Smooth the edges and re-draw the pocket markings if using. 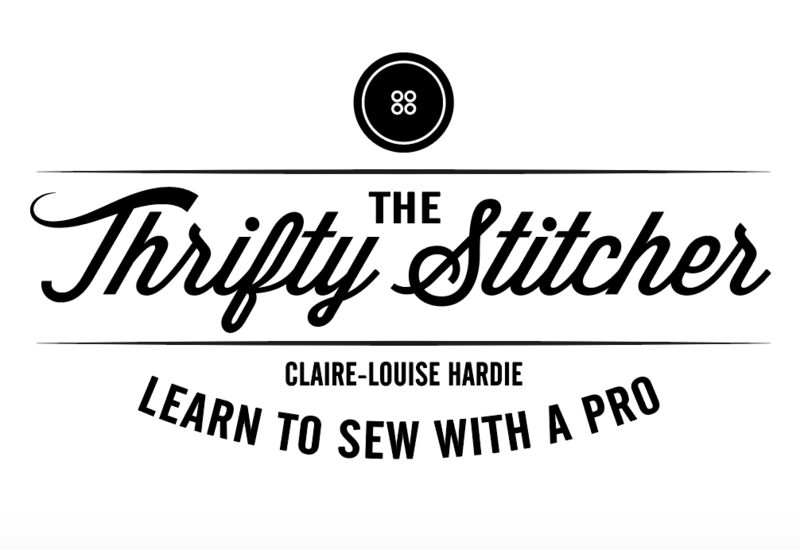 Alana has done loads of fab tutorials on pattern adjustments, so do check out Her website! Hi thanks so much for this! Is your column H meant to read ( F + G = H) ? I tried these calculations on a coat and everything went incredibly well apart from the sleeves! 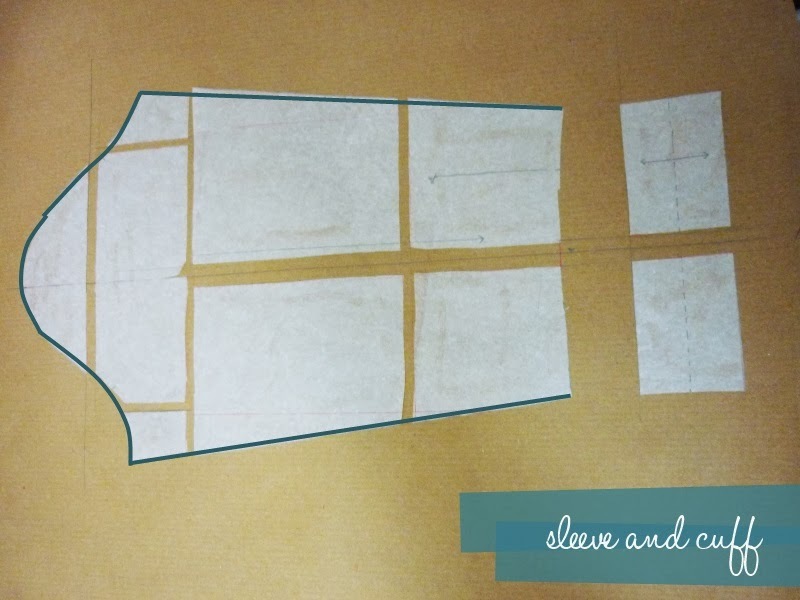 The sleeve calculations always make the sleeve twisted when inserted into the bodice of the garment! Could you explain the sleeve calculation again please??? The sleeves look like the have drag from the shoulder to the back on one side of the sleeve and shoulder to the front on the other sleeve. I definitely put the sleeves the right notch to notch and cut on the straight of grain but still I’m left with funny sleeves , please help! How would this work with a princess seamed pattern? 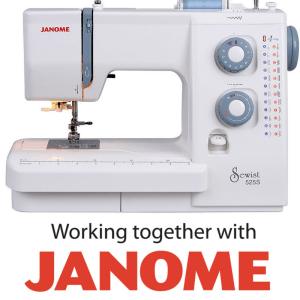 Sewing suppliers we love and trust! Sustainable sewing-Could recycled thread be the future?